Eino's most ambitious project yet, Spaceship Earth was conceived as a memorial to late, legendary environmentalist David Brower. 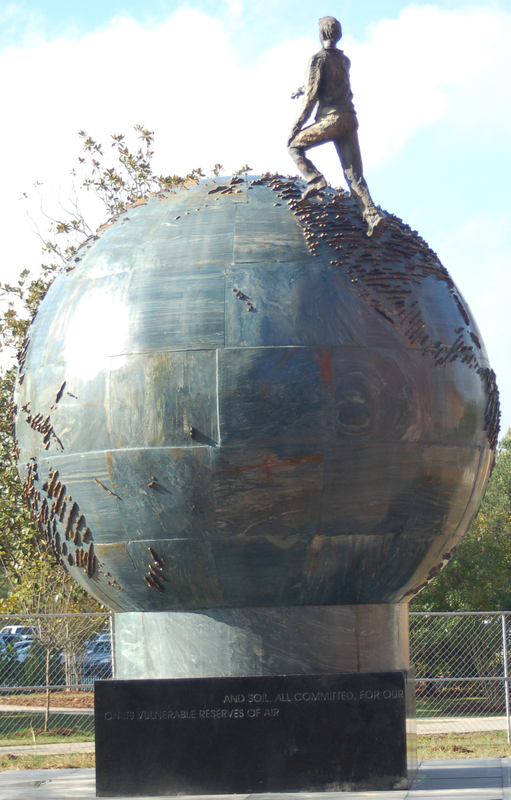 The design comprises a 15-foot-diameter sphere,with a life-size bronze figure of Brower near its apex. 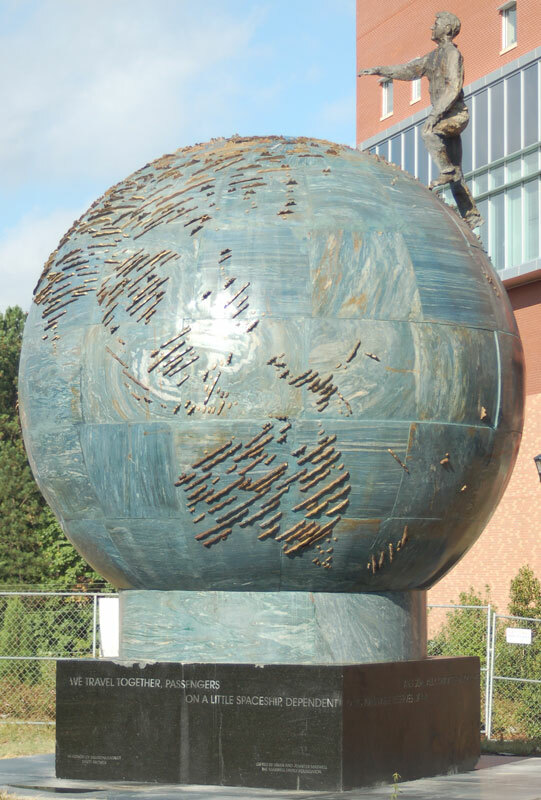 Consisting of 88 separate pieces of Brazilian blue quartzite, the sculpture weighs approximately 400,000 lbs. In addition to the life-size bronze figure of Brower, 1,426 smaller bronze segments are attached to the face of the globe. 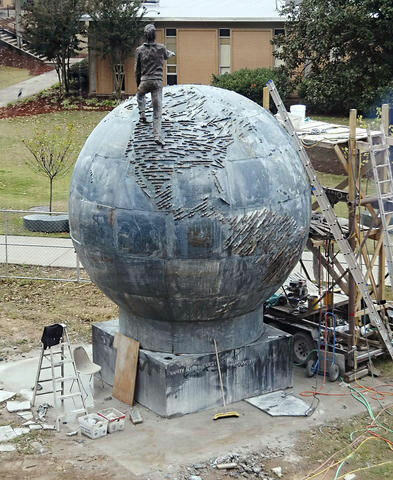 This work fuses Eino's rich and unique experience in sculpting both stone and bronze, and was unveiled at Kennesaw State University in Kennesaw, Georgia in October 2006. Spaceship Earth would not have been possible without the assistance of two industry leaders...Brazilian-based "GRAMIL", quarries and provides to the world, marble and granite of the highest quality, and is the exclusive supplier of the blue quartzite of which the sculpture is constructed. GRAMIL also furnished Eino with full use of their factory facilities for the length of the project. Saint-Gobain, an international manufacturer of state-of-the-art cutting accessories and abrasives, provided Eino with tools utilizing the latest technology; this allowed the cutting of the stone to be completed significantly ahead of schedule.